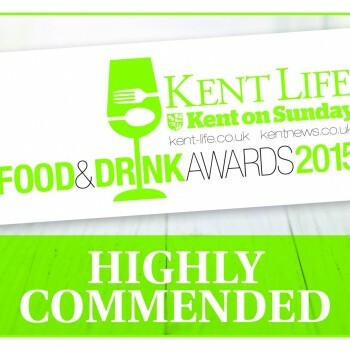 Oyster Pearl awarded a HIGHLY COMMENDED Pub of the year by Kent Life and and Kent on Sunday food and drink award 2015. 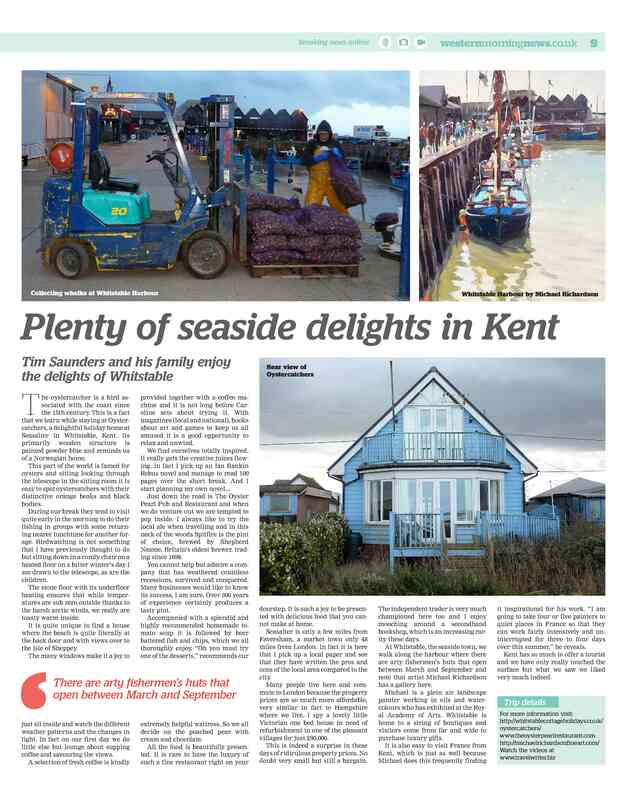 Seasalter Whitstable Kent – 20/May/2015 – The Oyster Pearl Pub & Restaurant today announced that it has received a TripAdvisor® Certificate of Excellence award. Now in its fifth year, the award celebrates excellence in hospitality and is given only to establishments that consistently achieve great traveler reviews on TripAdvisor. Certificate of Excellence winners include accommodations, eateries and attractions located all over the world that have continually delivered a superior customer experience. When selecting Certificate of Excellence winners, TripAdvisor uses a proprietary algorithm to determine the honorees that takes into account the quality, quantity and decency of reviews and opinions submitted by travelers on TripAdvisor over a 12-month period as well as business’s tenure and ranking on the Popularity Index on the site. To qualify, a business must maintain an overall TripAdvisor bubble rating of at least four out of five, have a minimum number of reviews and must have been listed on TripAdvisor for at least 12 months. TripAdvisor, Inc. (NASDAQ: TRIP) manages and operates websites under 24 other travel media brands: www.airfarewatchdog.com, www.bookingbuddy.com, www.cruisecritic.com, www.everytrail.com, www.familyvacationcritic.com, www.flipkey.com, www.thefork.com (including www.lafourchette.com, www.eltenedor.com, www.iens.nl and www.besttables.com), www.gateguru.com, www.holidaylettings.co.uk, www.holidaywatchdog.com, www.independenttraveler.com, www.jetsetter.com, www.niumba.com, www.onetime.com, www.oyster.com, www.seatguru.com, www.smartertravel.com, www.tingo.com, www.travelpod.com, www.tripbod.com, www.vacationhomerentals.com, www.viator.com, www.virtualtourist.com, and www.kuxun.cn. Just down the road is The Oyster Pearl Pub and Restaurant and when we do venture out we are tempted to pop inside. I always like to try the local ale when travelling and in this neck of the woods Spitfire is the pint of choice, brewed by Shepherd Neame, Britain’s oldest brewer, trading since 1698.
soup it is followed by beer battered fish and chips, which we all thoroughly enjoy. “Oh you must try one of the desserts,” recommends our extremely helpful waitress. So we all decide on the poached pear with cream and chocolate. All the food is beautifully presented. 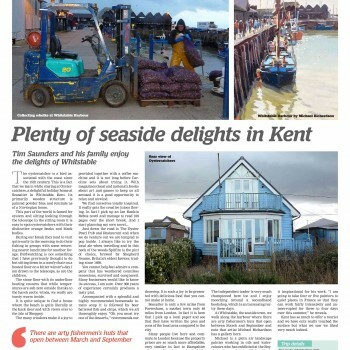 It is rare to have the luxury of such a fine restaurant right on your doorstep. It is such a joy to be presented with delicious food that you cannot make at home.